Whether practising with the team or training at the track, Canterbury’s on-trend CCC Graphic Singlet is made to measure for girls who love to be active. And with a lightweight construction and racer back style, she’ll be ready for action whatever she’s doing. 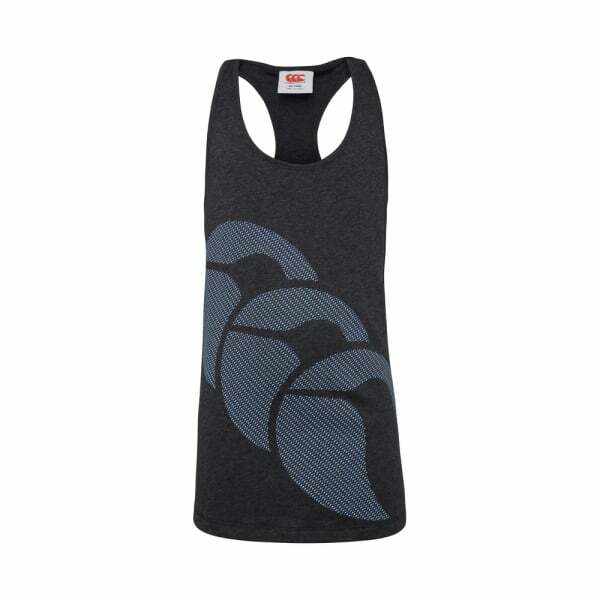 Canterbury’s CCC Graphic Singlet is the go-to active wear singlet for girls. Made from 60% Cotton and 40% Polyester Single Jersey 160gsm, this is a lightweight and breathable garment that will keep her cool on the court and the racer back design allows for maximum movement and flexibility while she trains. With a distinctive CCC print and transfix, the CCC Graphic Singlet combines cutting-edge fabric technology with stylish design in this signature item of Canterbury apparel. And whenever she wears it, she’ll be instantly recognisable as a member of the elite Canterbury community of players, supporters and fitness enthusiasts.